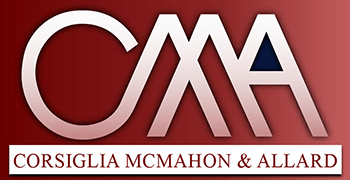 "I absolutely cannot speak highly enough of CMA Law, particularly of Mr. McMahon, with whom I have had the most experience. My entire family and I trusted CMA with our case following a significant and life-altering vehicle accident, and to say they delivered is putting it lightly. They were reachable & personable at every stage of this arduous, complex, and scary process, made things easier at every stage, inspired us with confidence, and delivered results. If you're looking for a law firm to place the trust of you in your family in, look absolutely no further than CMA - this is your firm." "I suffered a severe spinal injury while working as a farm mechanic in the Salinas Valley. The attorneys -Tim McMahon and Mark Sigala were fantastic from the beginning. They fought for me over 3 long years and in the end, we won a difficult liability case against the farm company who was using dangerous equipment. The defendants in the case tried everything to put the blame on me and even claimed I was their employee in order to avoid civil responsibility. Tim and Mark never gave up on me and my case. I cannot recommend them highly enough. They are fighters." "Before retiring, I worked for a large Silicon Valley company as an attorney. I am very particular about hiring lawyers since I performed that task for years as part of my job. Recently, I was seriously injured while walking in my neighborhood. I was overwhelmed with my recovery and medical treatment and knew I needed to hire an attorney to proceed legally against the party at fault. I retained CMA because they have an impeccable reputation in the local legal community. I was not disappointed. The compassion and effort they provided was truly exceptional. Tim McMahon and his firm were always available and able to provide answers to my many questions. They supported me during the healing process. In addition, they were competent, meticulously and scrupulously thorough and thought of everything that needed to be done. Most importantly, they were able to negotiate a substantial settlement with the homeowner’s insurance company in a timely and effective manner. I was duly impressed and that's not an easy feat for someone with my background." "After retaining a lawyer named Reuben out of San Mateo, he had been connected with Tim McMahon, which I also retained for a case regarding my son, at the time of the accident he was 17months old, and had suffered lifelong/ permanent injuries from a fall out of a window 3 stories high. Over the last 5 years Tim has been a part of our legal team and I couldn't be more pleased with his knowledge of working similar cases, that he was able to bring to our case. Tim is very professional, personable, warm. welcoming, & makes you feel comfortable. I am so very thankful for him also taking part as being a voice for my son in a legal manner & I couldn't have asked for a better team of lawyers to get the job done. Thank you!" These are the four words in my opinion describe Bob as a lawyer and a person. The compassion he felt for our needs and concerns was immeasurable. He knew and understood our apprehensions and fears, and dealt with them in a professional and caring manner. He never lost his focus on what we were dealing with and what our objectives were. His devotion to our case was unwavering. He dealt with our issues and brought the case to a close in a timely manner. This brings us to the last, but not least of the adjectives. Knowledge. If not for his expertise and his terrific staff and partners, I believe I would not have had the successful ending that resulted. His knowledge of the law and how it pertained to our case was outstanding. I not only found an excellent lawyer, but also had the pleasure of meeting a truly wonderful person!" "This firm is the best. Tim McMahon is a professional who quickly understood my complex case and worked tirelessly for years as my case against the government wound through the legal system. The investigations and depositions were amazingly thorough. My calls were always answered quickly and concerns addressed. And I received better compensation than I thought I would get. I highly recommend this smart and competent firm. There are good people working here." "When walking through a parking lot I received a serious head injury when being knocked down by a car. While trying to recover, my husband and I tried unsuccessfully to negotiate with the insurance company of the party at fault. Then a friend referred us to CMA and Tim McMahon got in contact with us. He was very competent and helped me through the legal entanglement. He and his firm were always available to answer any questions I had and they kept me up-to-date with the progress of my case. Tim McMahon's negotiation with the counterparty resulted in a considerable settlement. I am very impressed with his knowledge and professionalism and I would refer this law firm at any time." "Tim McMahon and his team understand that filing a lawsuit can be a very intimidating process; they were always patient and explained things thoroughly. I found Tim to be an excellent listener, showing compassion while sharing insight on how the law works, how insurance companies think and most importantly setting realistic expectations. My case moved forward just as he explained and I was very pleased with the outcome that Tim was able to negotiate on my behalf. From my first meeting with Tim where he provided his candid assessment, through our mediation and settlement, Tim always had my best interest in mind." "Mark Sigala represented me in my accident case, he did a wonderful job. I highly recommend him. He was very efficient, very courteous and very professional. I would definitely give him five stars!"